The Historic Cultural Neighborhood Council is made up of two unique communities. 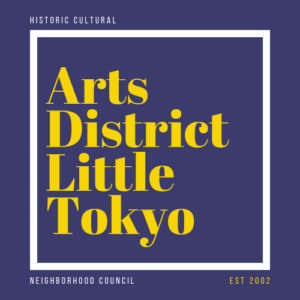 However, both the Arts District and Little Tokyo share rich, complex histories with strong cultural ties. We hold our meetings at the St. Francis Xavier Church & Japanese Catholic Center a community stakeholder since 1939 and central location for both communities. Meetings are held on the second Tuesday of each month.